Below is a letter sent to Delaware State Treasurer Chip Flowers, on behalf of the Delaware State Senate Republicans from Senate Minority Leader Gary Simpson of Milford, and Minority Whip Gregory Lavelle of Wilmington. Let me first thank Senators Simpson and Lavelle for getting the ball rolling, and I would hope that if Treasurer Flowers ignores the suggestion of seeking outside aid in the investigation of the misuse of state issued credit cards, then the Senators should next form a committee to have Treasurer Flower testify in front of under oath, to answer to the citizens of Delaware. It’s time for you to get your office in order and it’s clear to us that you need help in doing so. The ongoing allegations, confusion and inability to consistently and factually document the use of taxpayer funds for travel in your office need to be addressed immediately. The News Journal report over the weekend was very troubling. In it you indicated that the records in your office are in disarray and that many are missing. You noted that you have lost your two most important employees and it isn’t clear if the positions have been filled. You also suggested that it might take 60 – 90 days for you to determine exactly what is going on with respect to travel and other financial records. You even suggested that criminal charges might be appropriate. Taken individually, these points would be concerning. Taken together, they suggest an office that is out of control. The editorial in today’s News Journal certainly reflects much of what we have been hearing from constituents over this issue. We are also concerned that your current management practices might be impacting your office’s critical function of managing almost $2-billion in state tax funds. We encourage you to proactively reach out to appropriate state agencies, including but not limited to, the Office of Management and Budget, the Division of Finance and the Attorney General’s office to assist you with your internal investigation into these serious matters. We would also like to know the exact status of Erika Benner. It is unclear to us if she has resigned or is out on short-term disability. If on disability, there must be policies and procedures in place that manage this status and we would like to know if they are being followed. It appears to us that Ms. Benner is still being paid while she awaits a new position in state government. If true, we would like to know how long taxpayers will be expected to pay her salary. It has been suggested to us that you are of the opinion that your office cannot be investigated since you are an independently elected office. Let’s be perfectly clear, no elected official is above investigation. 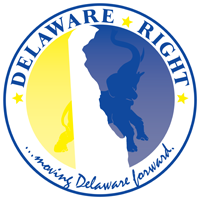 We hope that you will more fully engage these issues and actively bring in outside and independent assistance to ensure the citizens of Delaware that they can have confidence in the effective management of their tax dollars, regardless of the amount. Notice the people who were CC on this letter. So one has to ask, where are the Democrats on this? Why are they not calling on Treasurer Flowers to come forward with documentation of the misuse of state issued credit cards? I also must in fairness point out state Auditor Tom Wagner and his silence on this issue. I await a letter to be sent from the Democrats in the Senate, or the Governor, or from Speaker of the House Schwartzkopf. I fear I will be waiting a very long time. 5 Comments on "So Where Are The Democrats?" Isn’t this something that our State Auditor should have starting looking at 3 months ago when the problems were first reported? And our State Auditor is a member of which party? Dems are quiet for the same reason as Wagner. Anon, as I pointed out above, I too feel Mr. Wagner has been lax for not bring the full weight of the auditor’s office to bear on this case. Both agencies that are investigating this issue are run by Democrats. OMB and Finance are led by Democrats. I find it very telling that it takes headlines in the News Journal to get top Republicans moving. The Republican Party needs new leadership. Chip Flowers gets called out by the Republican Party for his actions. Here is how it always happens. Chip Flowers gets called out by the News Journal. The Republican Party reports on it. No party will be elected if it always so obvious it is out of touch. Just saying. So……where will the republicansbe- and will they have a decent contender that independents and moderate will vote for? ← Is Bill Colley Of WGMD A Racist?